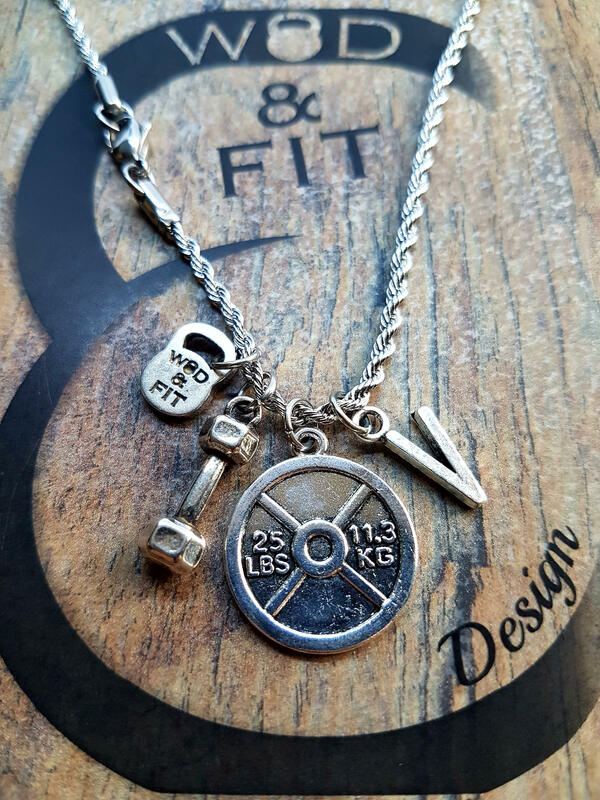 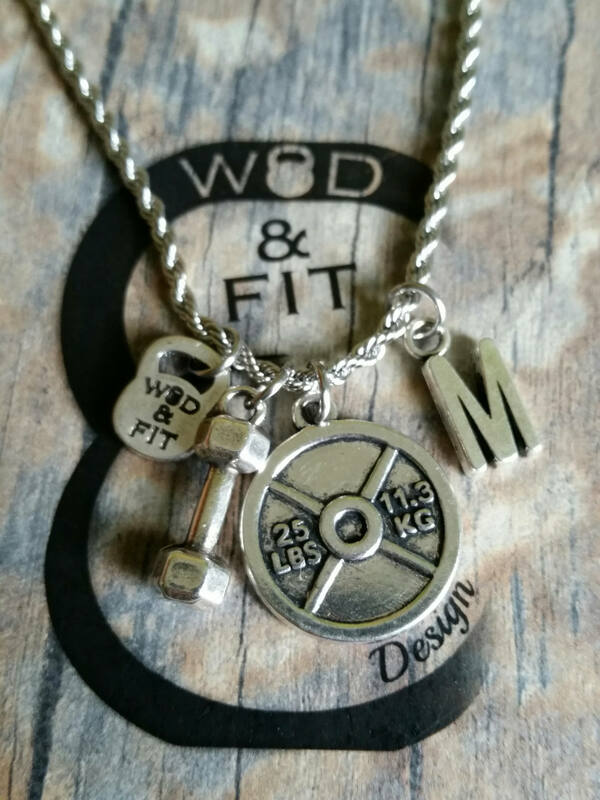 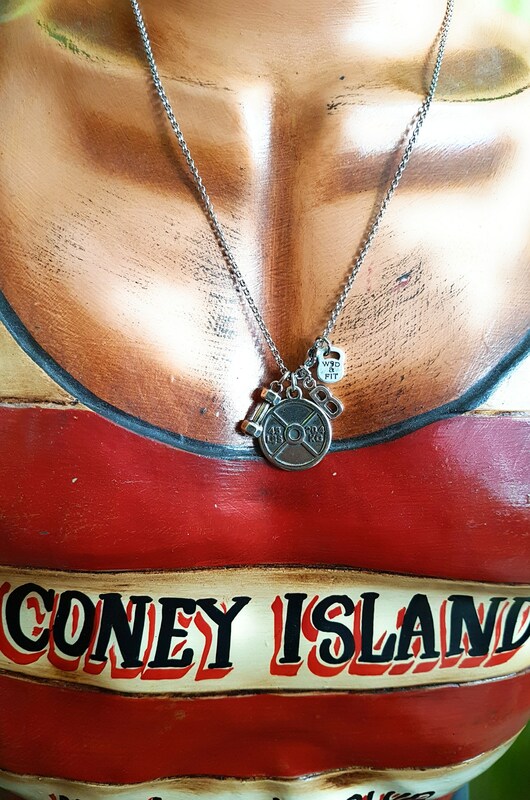 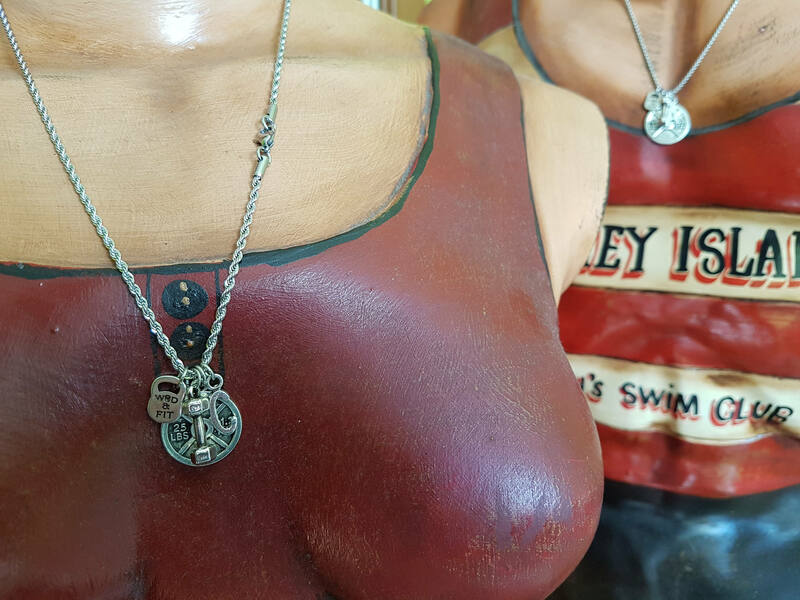 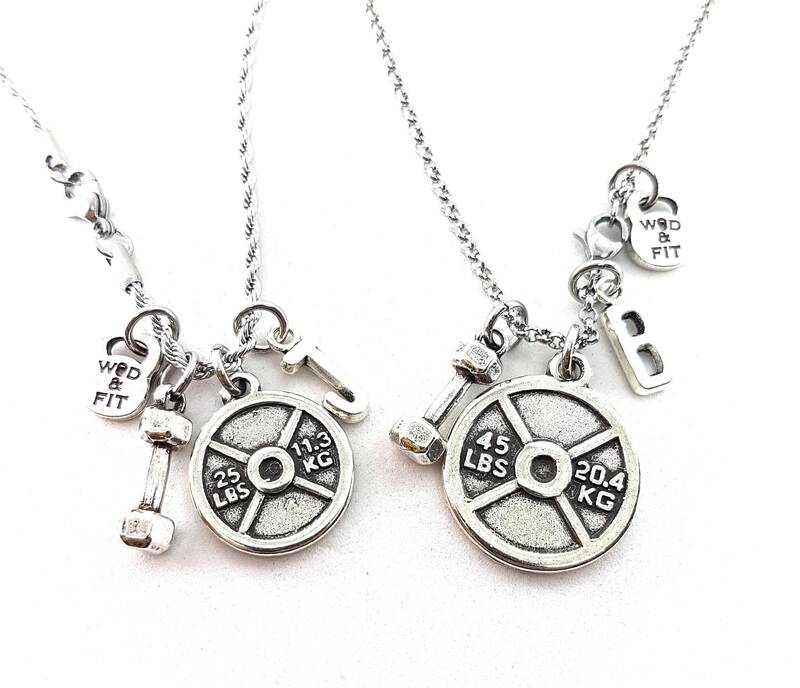 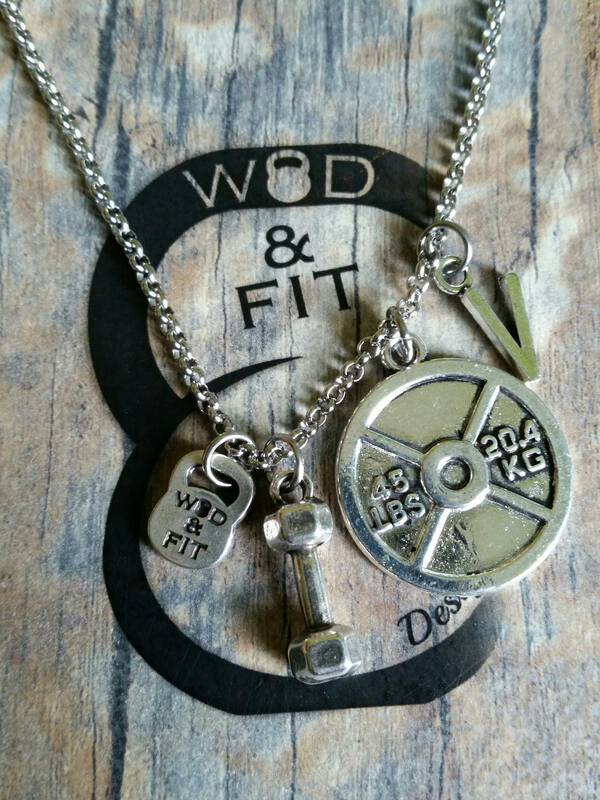 Couple Workout Necklace Weight Plate,Dumbbell & Initial letter. 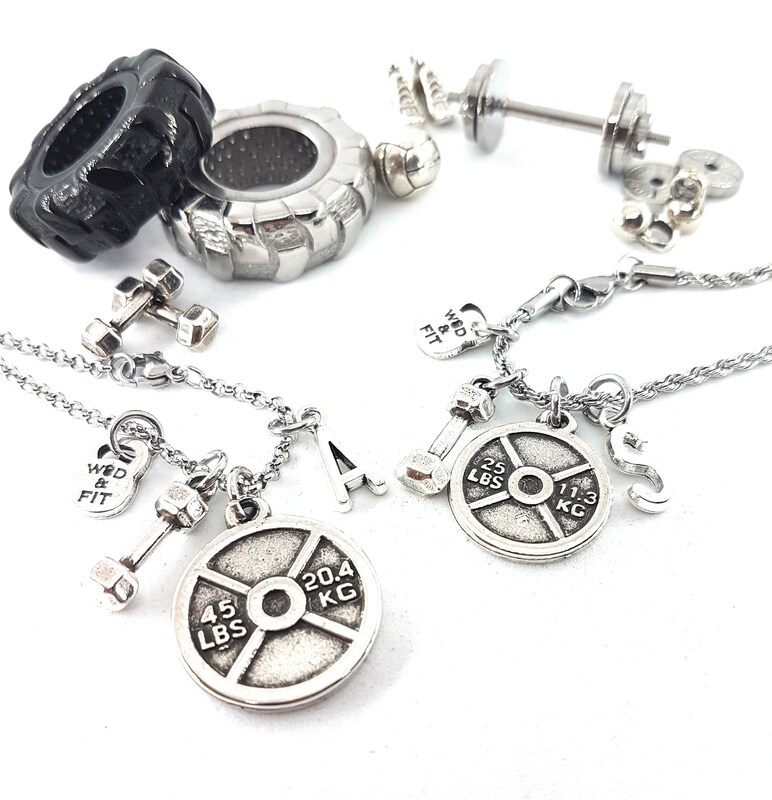 Stainless steel Necklace with Weight Plate 25lbs(20mm) & 45lbs(24mm) with Dumbbell and your letters. 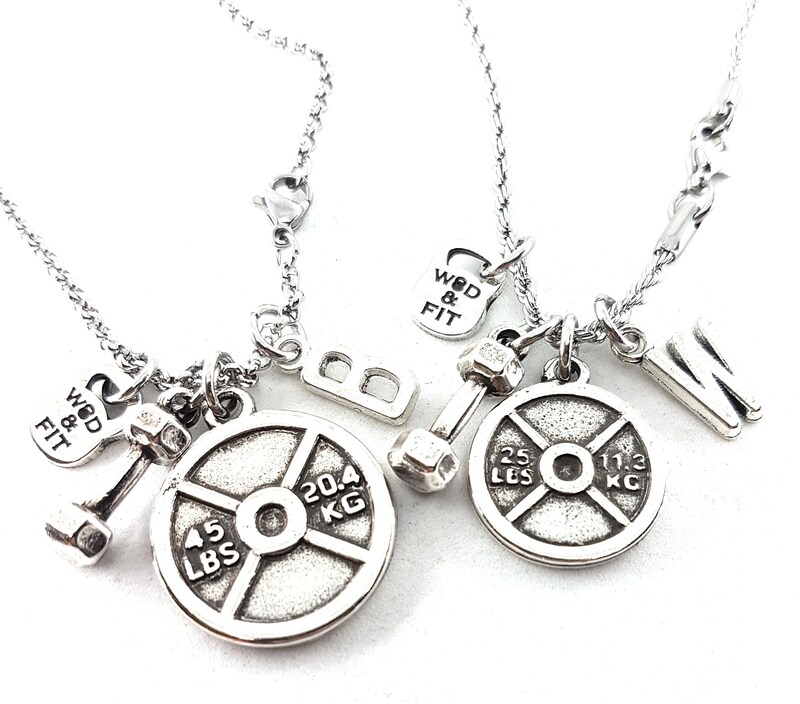 We send them throughout the world in sachet of Juta or velvet Gift Pouch.